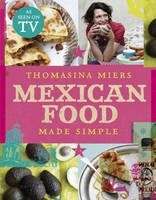 There’s no doubt that Tomasina Miers has expanded our appreciation of Mexican cuisine and offered us a much more exciting range of recipes than was previously available in Mexican cookery books. We have found in the past at the book club that sometimes a title doesn’t always live up to the promise and the “made simple” tag is a case in point. We are all enthusiasts but a recipe with 20+ ingredients, some of which could be challenging to find, doesn’t really resonate with simplicity. That said, we had a colourful and tasty feast at our meeting and a lot of lively food discussion. We started with cucumber agua fresca, a refreshing bright green cooler that cleansed the palette and set us up for the courses to follow. Sarah who kindly hosted our evening noted though that this recipe was inaccurate, as it yielded two and a half litres not two glasses so be warned! There’s never a wrong time for breakfast in my mind and the first dish we sampled was The great Mexican breakfast from the soul food section. A build your own affair with corn tortillas a rich and gently spiced tomato sauce, fried egg and crumbled Lancashire cheese. To accompany this Sarah also made Frijoles refritos (declared by Abigail, a new club member as the best she’d ever had) and My addictive sweet chipotle paste the Mexican equivalent of a sweet chilli sauce. I have mixed memories of my backpacking trip through Mexico two years a go as three days into the adventure, just as I was starting to unwind, the swine flu pandemic started and I was foraging in the fabulous food markets for face masks instead of frijoles! However one Saturday evening in a town square in Merida I first tried real tacos made there on the street and so very different from the “tex-mex” variety that are generally found here. So with this fond memory spurring me on I decided to bring the Autumn tacos with onion squash and chorizo to our meeting. The filling is straightforward to make, though a little oily, but finding authentic tacos unless you plan to make them yourself is a bit trickier. I didn’t have any luck at the Sweetmart based in Easton (though you can buy masa harina there) but they can be found at www.mexgrocer.co.uk . Alongside the tacos we tried green rice and the roasted almond and avocado salad a vegetarian version of the chicken and avocado salad on page 86 we all thought the textures and flavour of the salad worked well together so another hit. The evening ended on a high as we put aside our rice pudding angst (hot or cold, thick or thin, skin or no skin) and embraced the light and delicately spiced Chilled Mexican rice pudding. This unusually calls for long grain not pudding rice and is cooked on the hob, so no sticky skin. Flavoured with cinnamon and orange zest it was a big hit. I could imagine having it for breakfast too with some fresh fruit and crème fraiche. It always amazes me that whenever we meet we have such a varied selection of dishes that seem to work together really well, and so it was again this time. Breakfast at supper, Autumn tacos in Spring and cold rice pudding, a topsy turvy night that really captured the spirit of Mexico and not a chilli con carne in sight (although we all wanted to give Tommi’s version a try)! Chipotles en adobo p36 A must make preserve for the Mexican food enthusiast, the puree which keeps in a kilner jar for months will add real depth of flavour to your dishes and can be stirred into sauces, mayo and dressings to give a savoury and smokey hit. 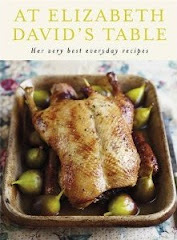 The introduction and explanations of typical ingredients are really helpful and clear. I especially like the chilli page. Also discussed - chilli festivals, hugely popular events for lovers of all things hot!